An advanced reporting and distribution solution. "NPrinting makes report building easy"
NPrinting allows organizations of any size to create semi-automated, semi-custom reports with ease. While different users with different functional roles have varying needs and uses for their data, Nprinting can help these disparate groups leverage the information for their own unique purpose without requiring a ton of customization hours. Every group in my organization has to tell a different story with the same data. Leveraging the same data for their unique purpose requires custom development of reports and data analytics needs. Nprinting solves these problems by providing powerful semi custom report generation capabilities, and doing it well and with ease. "Excellent tool for automated reporting"
I really like the way this tool helps with creating customized dashboards and reports to the extent of sending out the reports by schedule in the mode you want! Nothing to be disliked. 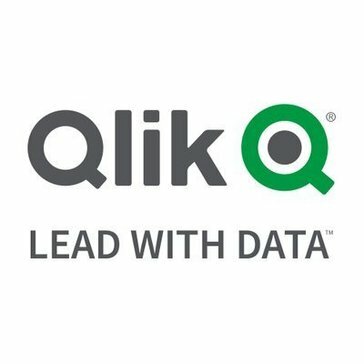 This tool is perfect for the purpose of reporting and dashboarding and a great addition to Qlik! Definitely recommend this tole for people who know what dashboard they need and dont want to do the same work repeatedly. This tool helps you customize dashboards and send it in the format you want . From my knowledge Powerpoint/Word and excel are available! Automated reporting on a scheduled basis to report data in a dashboard. This is scheduled to be sent based on requirement! What Self-Service Business Intelligence solution do you use? "Visualize QlikSense reports to people without QlikSense"
I like best that it is possible to share QlikSense reports with people which do not have a license for QlikSense. "Stable performance, Needs better integration "
"QlikView makes PDF reports so much easier"
* We monitor all Qlik NPrinting reviews to prevent fraudulent reviews and keep review quality high. We do not post reviews by company employees or direct competitors. Validated reviews require the user to submit a screenshot of the product containing their user ID, in order to verify a user is an actual user of the product. Hi there! Are you looking to implement a solution like Qlik NPrinting?